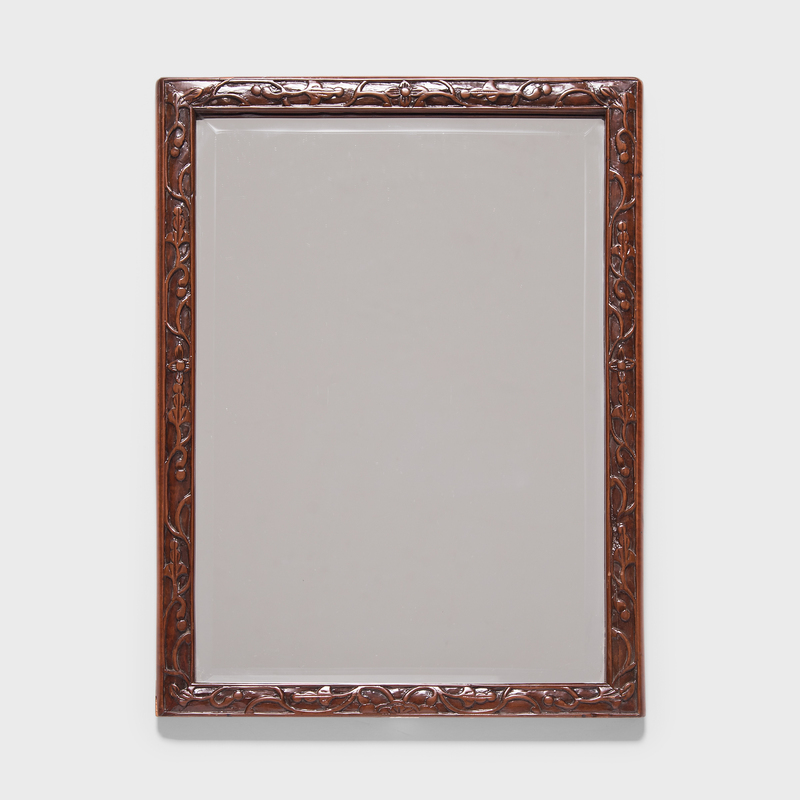 W: 22.75" D: 1.0" H: 17.75"
This 19th century framed mirror was carved by hand in Northern China and likely hung on the wall of a Qing Dynasty home, perhaps in a lady’s sleeping quarters. 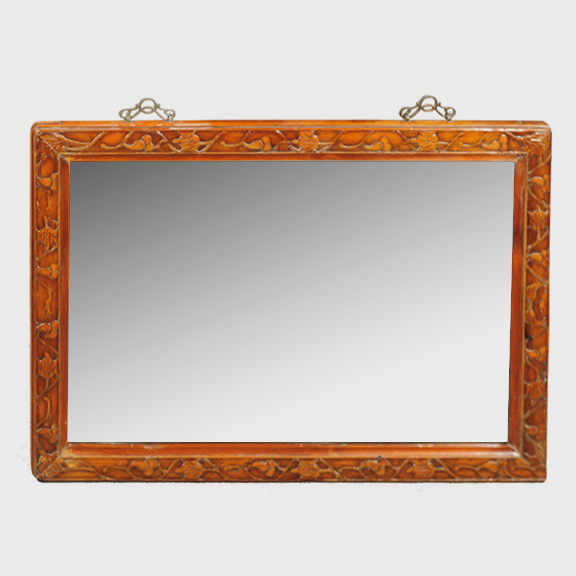 The carved scrolling vines have a delicate, feminine appeal and the linden wood offers a warm, intimate glow that has aged beautifully with time. 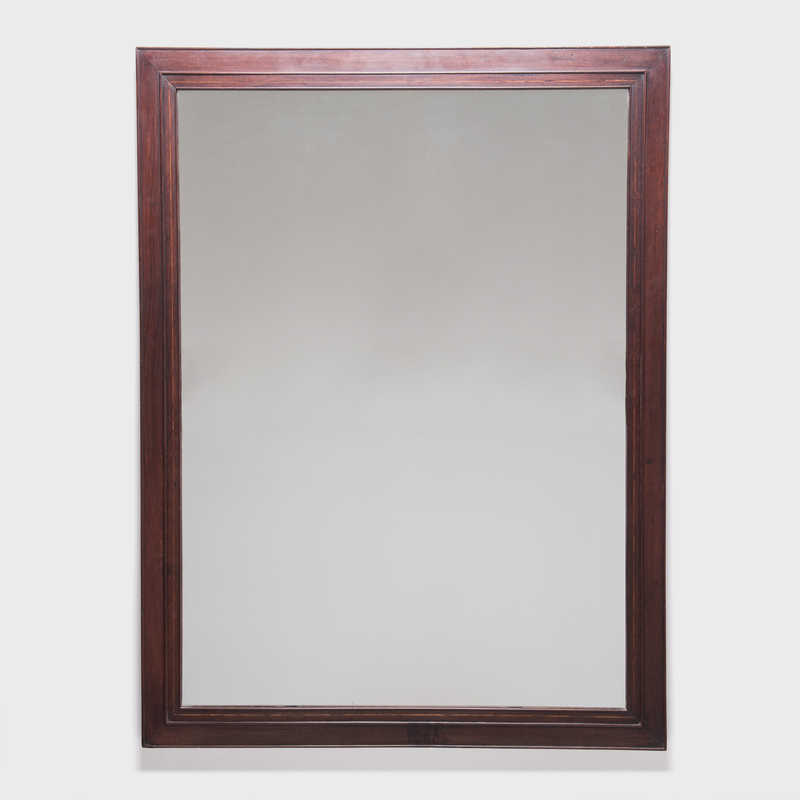 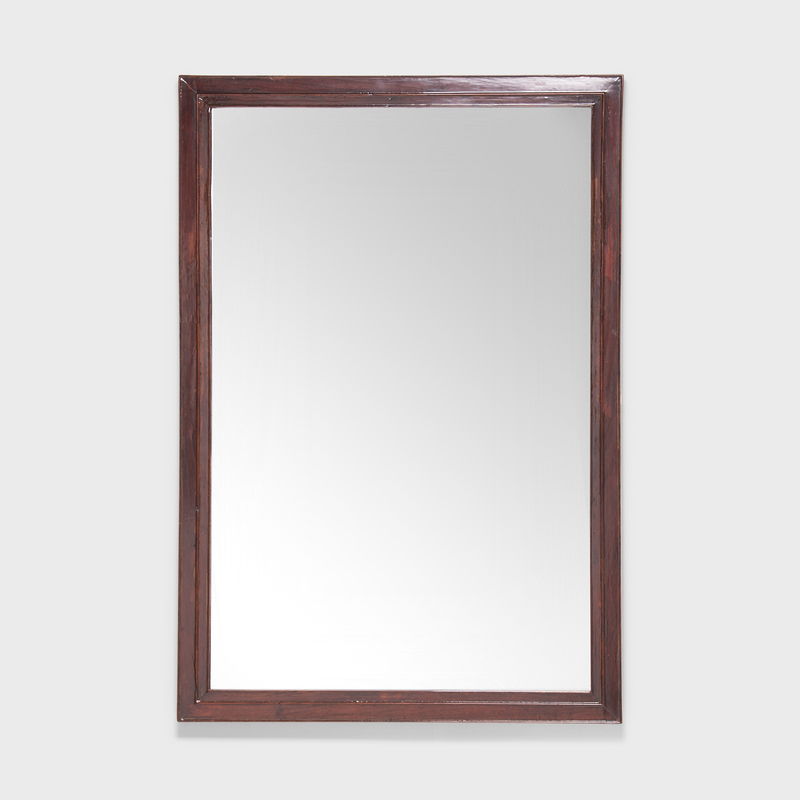 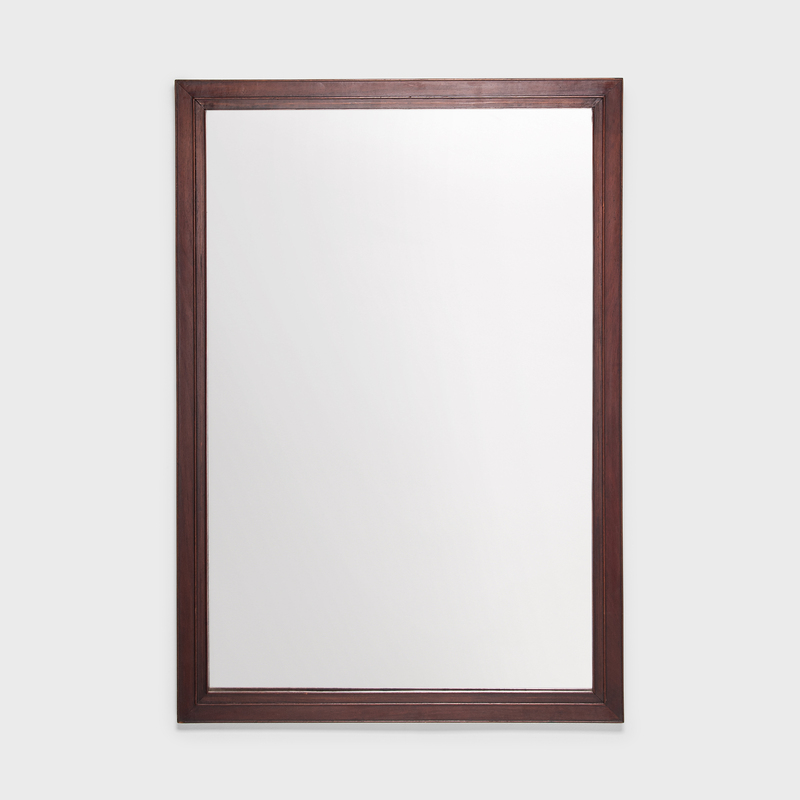 The beveled mirror has recently been added.